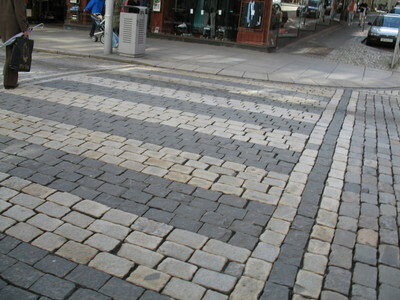 Most of the roads in Central Bergen are cobblestone, which is very attractive. I really appreciate that the city designers stuck to the plan when they put in crosswalks. Did you look at dooce today? For some reason, I found today's little video to be effing hilarious.